Today is a special day though not many people probably know. It’s the UN International Day for the Eradication of Poverty. While it’s not too well-known (I wouldn’t have if the pastor hadn’t talked about it at church), it marks a very important cause worldwide and in Hong Kong. Hong Kong might be a financial hub with a flashy skyline, the most expensive homes in the world, and GDP per capita of over $36,000, but poverty is a serious problem here. So much so, that the poverty rate has increased and is almost near 20%, which the government admitted in a report released on the weekend. This is a shameful figure as it means almost one out of five Hong Kongers live below the poverty line. Hong Kong is often thought of as a rich city, and indeed the government is awash in cash, but the reality is more stark. Having lived here for more than half a year, I’ve seen so many old people on the streets sifting through garbage and collecting paper for recycling, as well as homeless and rundown buildings. It’s worse than Taipei, Taiwan’s capital city, which though its GDP per capita is not as high as Hong Kong’s, does not have as much homelessness, rundown buildings and old people going through garbage. On a side note, it is common to see old people working, such as security guards of residential apartments including my own, in Hong Kong and while some of they may want to, others are probably forced to continue working in order to live. It’s kind of hard to get a visual representation of how bad poverty is in Hong Kong because there are no outdoor slums in Hong Kong like the ones you see in cities like Manila or Bombay. Instead, the slums are hidden and all indoors, made up of cage homes and subdivided flats and rooftop dwellings. Cage homes aren’t homes, nor rooms, but instead are bunk beds in rooms covered by wire mesh because each bed is a person’s home. A little less bleak, but also just as tragic, are subdivided flats in which families may live in rooms. A while ago I blogged about my apartment search and I complained about toilets next to kitchens. But for some people, the toilet is a kitchen as well. 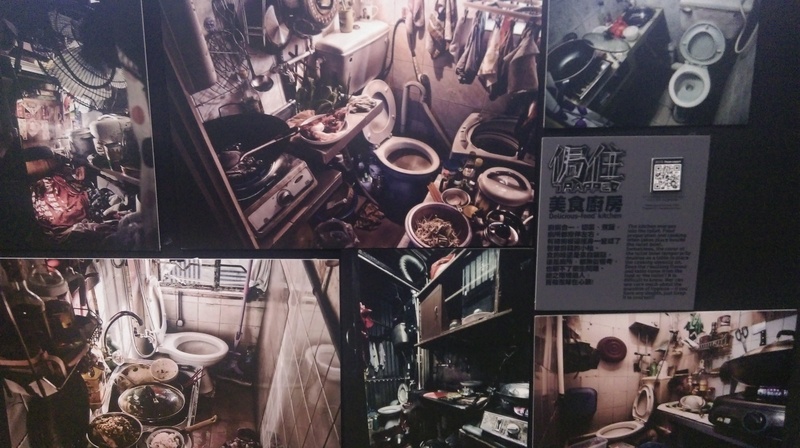 There is an ongoing photo exhibit of subdivided and cage homes which I viewed on the weekend that vividly illustrates the sad reality of these places. This isn’t even a recent problem because it has existed for many years with international media often carrying stories about this. Of course, not all poor Hong Kongers live like this, as many do have actual apartments, but even then people are still struggling by. Obviously poverty exists everywhere, but there is no reason for a “rich” city state like Hong Kong to have a poverty rate of almost 20%. There are several reasons with the crazy price of property being a main culprit. High home prices also mean high rents, both in absolute and proportional terms. Public housing is inadequate, so much so that the waiting time on the public housing application list exists for years. Meanwhile salaries haven’t kept up with rising home prices, and the paucity of state benefits like pensions and low minimum wage means a lot of working class people are struggling. Anytime there are attempts by social workers, unions and activists to try to get the government to raise social benefits, they face strong resistance from businesses and corporate interests. According to some Hong Kongers, you get what you work for and if you’re poor, that’s because you’re lazy and not working hard enough. Obviously, this is hogwash but this misplaced pride is what many here believe. Anyways, it’s 2016 and Hong Kong’s poverty continues to be terrible while the abominable cage homes persist and increase. China might have already surpassed the US as the world’s largest economy according to a UN effort to calculate spending power in 199 countries. But according to the Atlantic’s James Fallows, that doesn’t mean a thing. And he’s right. All it mainly does is make China number one on paper, but in reality, its GDP per capita remains low, many people earn very little, home prices have surged out of reach for many young people, and it has a range of big problems (regional inequality, rural poverty, and widespread air, ground and water pollution etc) that will cost much to fix. Much like how Nigeria’s recount of its economy made it Africa’s largest economy but doesn’t have a single effect on its poor and serious internal violence. Besides Fallows, there are other intelligent observers like these people who temper and describe the not-so-impressive ramifications of China’s hypothetical surpassing of the US. And Fallows is also right when he pours scorn on other media outlets that attempt to hype up China based on this statistical bonanza with headlines proclaiming China’s century has begun. It’s a particular peeve of mine. Over the years, there’ve been all kinds of articles and books that portray China as a superpower and this is China’s time, but a lot of it is empty hype based on enormous statistics. Younger people in Beijing are relying more on their parents to buy homes. This isn’t surprising, given the high costs of homes, the salaries that most people get, and that young people don’t save much. I’d even be willing to wager that this is true for much of the mainland, Hong Kong and Taiwan. Things aren’t so rosy in the US as well. This article about poverty in the US features a really telling graph that shows why it’s hard for poor people to move up in society. Basically, consumer goods such as clothing, electronic appliances and phones, have become significantly cheaper over the past decade, while healthcare, education and childcare costs have surged. It’s a bad tradeoff and a terrible irony- that the most important things are expensive while the worthless are cheap. I finally read Long Walk to Freedom, Nelson Mandela’s autobigraphy. This is a monster of a book with 857 pages, but is well worth the time and effort. It starts from his childhood, continues through his student days to his freedom fighter/ “terrorist” days to his long incarceration, and ends just after he became the leader of South Africa as prime minister after winning the first post-apartheid election in 1994. It’s unfortunate it doesn’t include his time as prime minister, because that would have been quite interesting as well. There’s a lot of events and information to take in, but one remarkable thing that stands out is that there’s absolutely no bitterness or vitriol from him towards the white Afrikaans and especially his time in jail. It’s clear why he is loved and respected so much, because it is clear he has a lot of resilience and integrity which exceeds what most people are capable of. Again, Mandela spent 27 years in jail, from late 1962 to 1990. Among the more interesting parts are his family history where he explains his noble lineage (Thembu nobility, subset of Xhosa people), his militant activities in which he oversaw attacks and training as leader of the ANC’s militant arm, and his negotiations with the ruling Afrikaans. Mandela’s stance was always to be civil and open to the Afrikaans, whilst at the same time, remaining defiant on issues such as the right to conduct physical resistance, such as bombing civil targets (which might also be seen as terrorism). Some people might criticize Mandela as selling out the whites, but I see it as being practical and realistic. There are a few key issues which he doesn’t spend much time, such as the criminal acts involving associates of his then-wife Winnie, who he eventually divorced after he was freed, and the ANC-Inkatha black-on-black violence in which thousands lost their lives. Winnie Mandela is a famous and notorious figure, not just as the ex-wife of Nelson Mandela but because she was linked with killings and extortion in the townships, allegedly committed by her “bodyguards” and associates. Mandela defends her by saying he believes she wasn’t aware or involved in these murders, but further evidence and news have hinted at the opposite. The bulk of the book is set in Robben Island, a bleak prison islet off of Cape Town that was virtually impossible to escape from. Over time, Mandela learned to moderate his thoughts while standing up for his fellow black prisoners and balancing this with gradually winning the trust of the Afrikaner regime and prison guards. My most recent book review was on Scattered Sand- The Story of China’s Rural Migrants. China’s rural migrants make up a significant bulk of its labor force which powers its economy and cities. That’s because the majority of factory workers and urban menial laborers come from rural towns and villages, often moving to different provinces and even halfway across the country to find work. There’s a lot of hardships and obstacles these people face, including poverty at home, and exploitative employers and discrimination from authorities at where they wind up. The book is full of facts and details, and you will definitely learn a lot about China, much different than the usual China being a superpower. I need to make one major suggestion for reading this book though- view China through the lens of a developing country, one whose GDP per capita is still less than US$5,500 and 10 years ago, was less than US$1,500. China should be urged to do more for its poor and rural folk, especially on issues like rising social inequality and corruption, but it should also be compared to developing giants like India and Brazil, in which case, China seems to be more better off in many aspects. Also, many of the people who the author interviewed used to work hard jobs like mining or factory assembly-line work, but were then able to leave and do other work that were higher paying or better than their previous work, illustrating that life is not as bleak for some migrant workers. Finally, I think if you asked most people, they would prefer to be working tough jobs rather than doing nothing. I’m not saying that things are great in China, but that using a different perspective, the socioeconomic state of affairs for rural people and migrant workers is not that hopeless either. 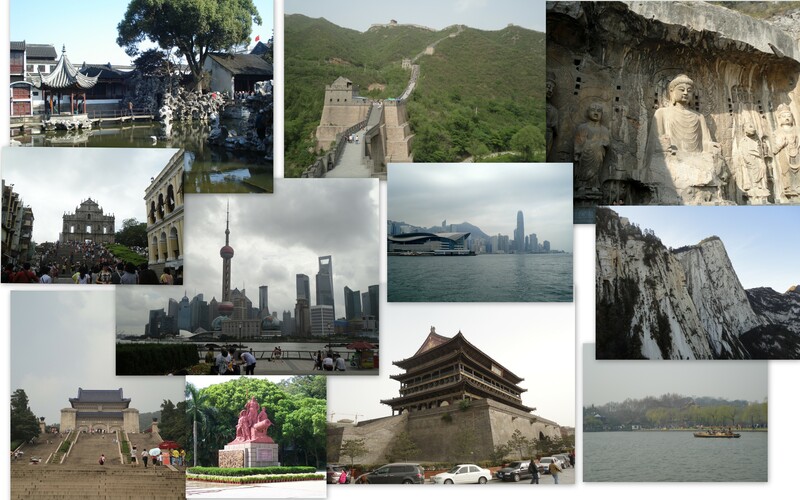 I’ve been to 9 of China’s regions. Tom Carter has been to all 33 of them and his book is packed with photos of each of these regions (23 provinces, 4 autonomous regions, 4 municipalities, 4 special administrative regions). In December, I bought China- Portrait of a People, an amazing photo book about China that showcases people and scenes from all of China’s 33 provinces, autonomous regions (eg. Guanxi, Xinjiang), municipalities (such as Shanghai, Beijing), and special administrative regions (Hong Kong, Macau). The geographic scope is matched by the amount of photos (over 800) and size of the book (over 600 pages). The book is a visual delight, but it’s about more than just pretty pictures. 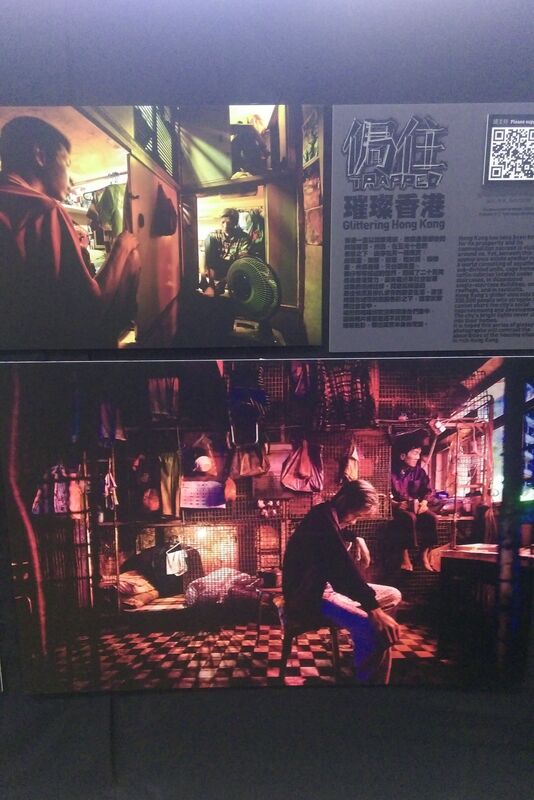 There are many shots of regular people and sights that highlight the grittiness, industry, and the charms of China. There’s one shocking photo of a maimed guy in Guangzhou, which after I got past the initial surprise, became one of my favorite photos. Each chapter features a nice description or personal story that helps you get a feel for the place, whether it be bustling Hong Kong, stylish Shanghai, wild Yunnan, or little-known Ningxia Hui. I’m currently reading Planet of Slums, a nonfiction book about slums worldwide. This book was quite well-known a few years back and I’d meant to read it before, but just couldn’t get around to it. It presents a bleak scenario, full of blunt commentary and gloomy facts about the prevalence and problems with slums all over the world. Basically all major slums in big cities in developing countries get mentioned, including Mumbai (India), Manila (Philippines), Caracas (Venezuela), Nairobi (Kenya), Johannesburg (South Africa) and even Shanghai. The book received a lot of acclaim, but I find it to be basically a never-ending list of facts about cities all over the world crammed together that seems rather superficial. The book is informative enough and a lot of the information is mindboggling. The main point is simple enough. As cities become larger in the developing world, slums grow, and poverty, disease, and state neglect worsen. For instance, slums in Mumbai number in the millions, being entire cities in themselves! 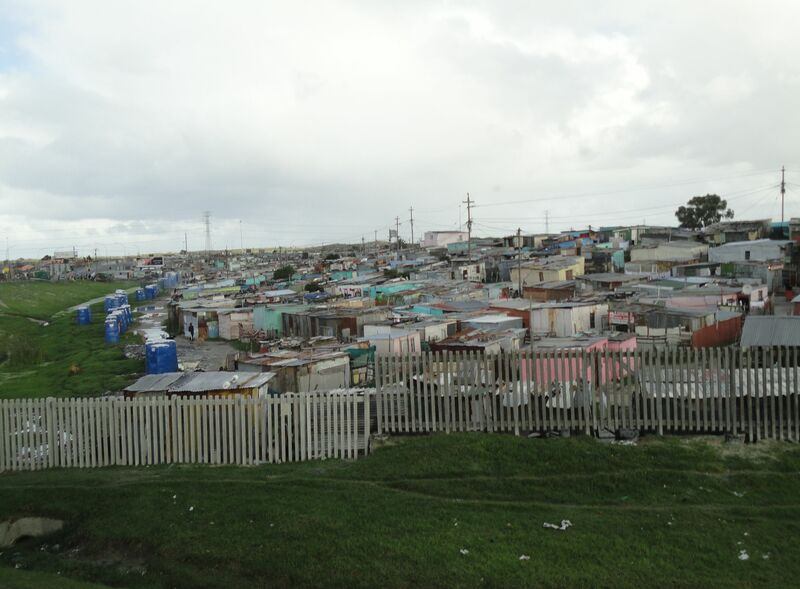 Squatter settlement in a Cape Flats township, near Cape Town, South Africa. I saw this documentary about Trinidad on the weekend that shows the country in a new light, and not in a good way. It’s sad but you know Trinidad has made it into the big leagues of crime-ridden developing places when it shows up in a British documentary titled Guns, Drugs and Secrets. Seriously though, Trinidad, or specifically the crime-ridden poor neighborhoods that were shown, could double as an urban slum somewhere in sub-Saharan Africa or Brazil. There’s actually one scene at night when lookouts call out the movements of police as they drive through a neighborhood which is reminiscent of a movie I saw where kids in a Rio slum acted as lookouts on rooftops who warned gang leaders when the police were coming. Watch the documentary here. On a funny note, all of the Trinidadians, except for the government official at the end, who speak in the show have subtitles. Yeah, though it was warranted for some of the people who spoke in thick Trini dialect/improper English, it wasn’t necessary for everybody. Virtually right after I posted my piece on doing a township tour in Cape Town, I came across this NY Times opinion piece that profoundly questions the value of slum tourism. The writer has a perspective that’s the opposite of mine or any other visitor, precisely because he is a former resident of such a slum, the famous Kibera in Nairobi, which was visited by US President Barack Obama, when he was a senator, and Michelle. The writer certainly mentions some crass examples of tourist visits such as when a filmmaker who’s interviewing him sees an old man crapping and presumably films it, and another time when an acquaintance takes a group into a home as a woman is giving birth, which I find unbelievably obscene. I’d like to think that the tours I went on into the townships in Cape Town and Soweto were more respectful and organized, and they were for the most part. Yet I can’t deny that it didn’t feel so right, a little intrusive in fact, in Cape Town, when our guide took us into a hostel and into a room where an old man was actually lying on one of the beds. Our guide spoke to the man, then spoke to us about the hostel’s inhabitants and in the end, several of us including myself took a few pictures. I did refrain from taking a picture of the man lying on the bed, but it certainly must have felt somewhat uncomfortable and embarrassing for the man to have had us tourists come into the room. I do stand by my opinion that township tours are good for raising awareness and deepening insight into essential social and political events in South Africa like apartheid and inequality. Is this applicable for other places like Kenya or India or Brazil, I don’t know, because I’m not sure what lessons people can learn from visiting slums in those countries. Respect for residents is key and this needs to be vital element of any slum or township tour.